It’s March and the nights are still cold here in Atlanta, but the days are warming up to the low 70s. We built a new deck (by ourselves, so proud) and the daffodils are blooming. So of course I’m dreaming about having a summer yard party! Hence my research into how to make the best homemade lemonade and margarita recipes. The five margarita recipes here are very different. If you’re a traditionalist, you’ll love these first two for their simplicity. The final three are definitely more modern. This margarita recipe from The Food Network had 46 5-star reviews when I last checked. Aside from the usual ingredients, it includes a dash of Simple Syrup to sweeten it up. Good ways to change it: Use Cointreau or Grand Marnier for the orange liqueur; add jalapenos. This frozen margarita recipe from Saveur magazine makes us long for dinner outdoors on the patio! The editors recommend using Herradura Silver Tequila and frozen limeade. A good way to change it: Sub out the Tequila for less expensive Triple Sec. 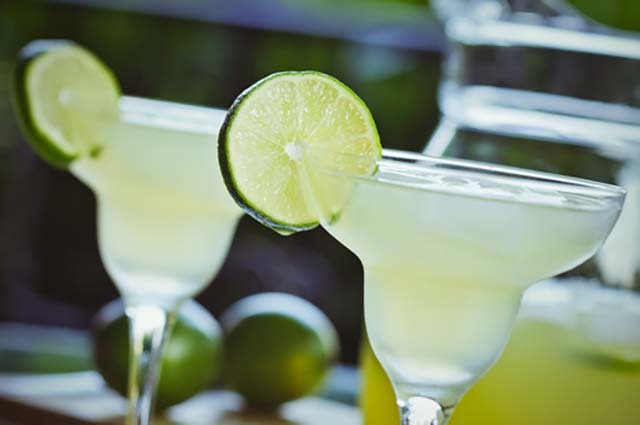 This beer margarita recipe from Food.com has garnered 42 5-star reviews so far. It includes limeade, Tequila and yes, beer. Good ways to change it: Substitute the limeade with 7-Up, suggests one reviewer; or switch out half of that 7-Up with water to make it less sweet. Ina Garten posted this recipe on Food Network, and since then it’s gotten a 5-star status from 27 reviewers. The special ingredient is ruby red grapefruit juice. Good ways to change it: Add half of a fresh-squeezed grapefruit, and consider adding sea salt. What are your favorite margarita recipes? Please leave a link to it in the comments below.